I don’t usually like stereotypes when it comes to genders. However, sometimes my life feels like it’s what boy stereotypes are written by. We don’t play with a lot of “gentle” toys but each boy has their favorite sleeping stuffed animal. They play brothers all the time and that feels like a version of house. Except it’s always the episode where someone is racing or someone is a monster or bad guy. Close enough. The next time I was home alone with them I sent them outside to play. It was a nice evening and they didn’t need to be inside. Five minutes later they came inside to put on swimming trunks. Whatever. Stay outside. I plopped in a Body Pump DVD and enjoyed 45 minutes of silence. Until I realized that they weren’t just playing in the rain water from last night. 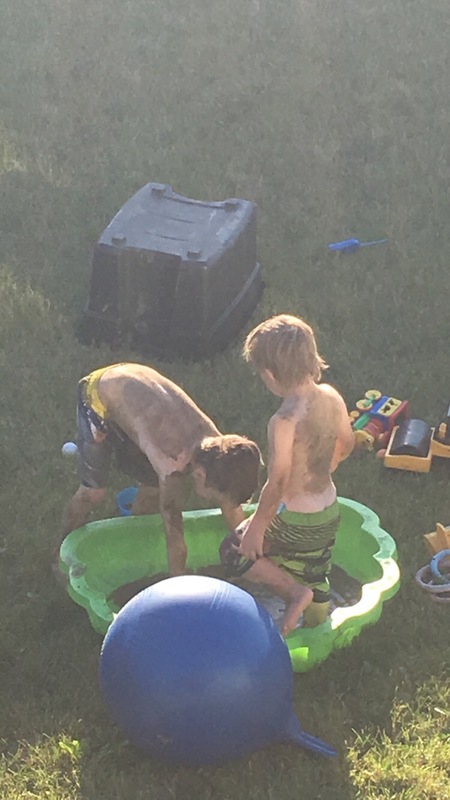 THEY WERE PAINTING THEMSELVES IN MUD. Whatever. Stay outside. I finished my workout and went out again to deal with it. And that’s when I found Quinten without any clothes on. Because that’s what boys do. They constantly take off their clothes. 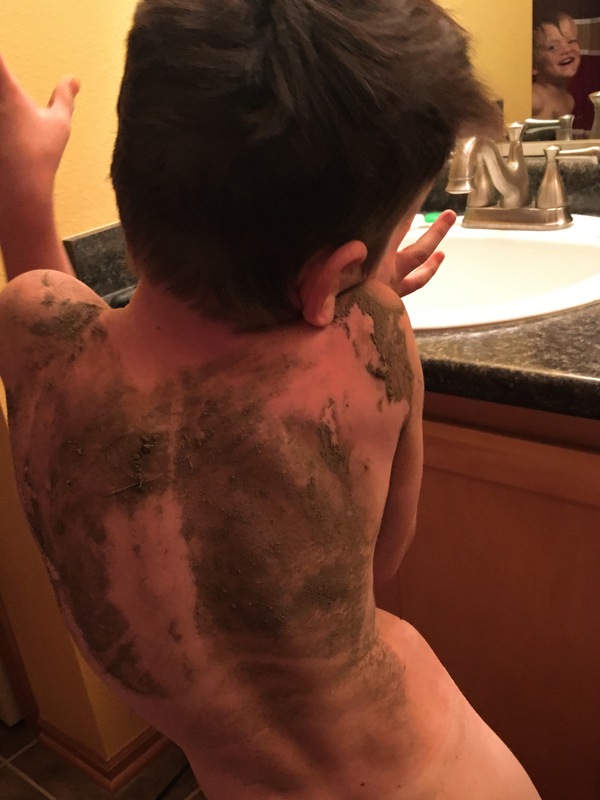 This entry was posted in Maximus, Motherhood, Preschooler, Quinten and tagged boys will be boys, kids are really messy by Kyley Leger. Bookmark the permalink.